Indoor way finding encompasses your GPS and satnav functions but takes it to next generation navigation. 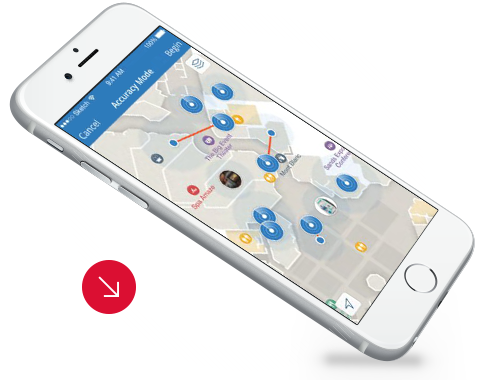 Using Wi-Fi and low power bluetooth beacons, navigation becomes both accurate and also interactive. This means that users can be welcomed into areas, told of events, retail bargains etc. Consider the implementation in healthcare, patients can be automatically registered as they enter a building and tracked between departments as appropriate. These benefits are not solely for people, assets can also be tracked and monitored as appropriate. There is considerable realtime and historic data available, all GDPR compliant and can be anonymised or reported with explicit consent. This allows organisations to data map their business operations to achieve efficiencies and to improve services in all areas.